Paul Kilby has had a great start to the new season with Ramsey & District Angling Society. He caught 11lb 13 oz to win the Thursday night match on The Narrows ahead of Ivan Steels (3lb 13 oz) and Keiran Payne (2lb 12 oz), and then took the honours in the Sunday Open on the Forty Foot Drain with 17lb 2oz. Steels again led the chasing pack with 13lb 1oz followed by Andrew Kilby (11lb 12oz) and Payne (8lb 12oz). 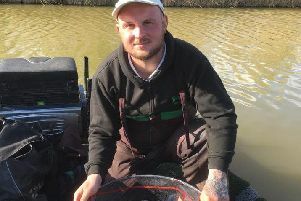 The Rookery Waters Saturday £1,000 qualifier on the Magpie Lake was won by in-form Tony Dawson with an impressive 176lb 12oz. Steve Clarke won the Thursday £1,000 qualifier on Jay Lake with 118lb 10oz.